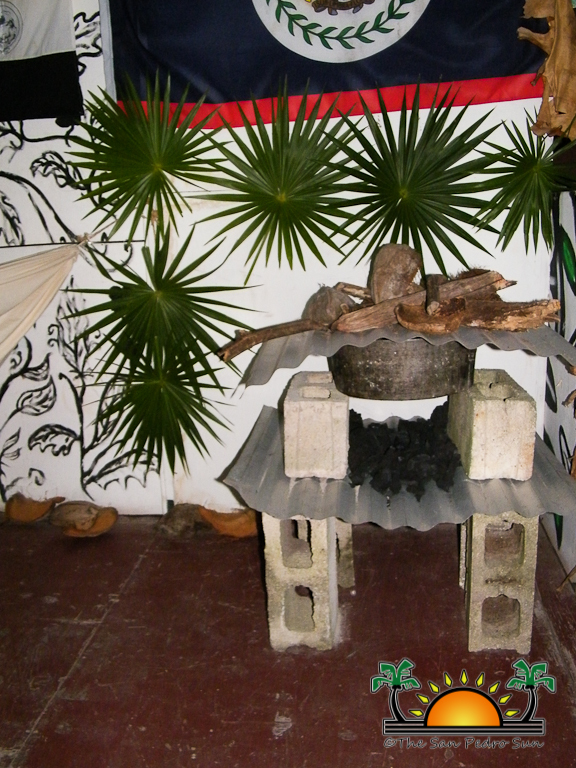 The old Black and White Bar is back to what it once was as a cultural, family friendly establishment. 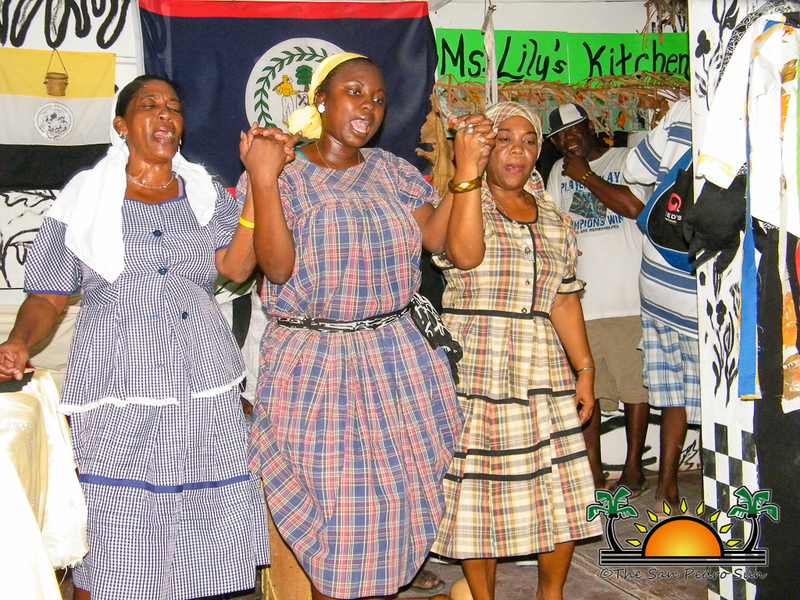 The official opening took place on Friday October 26th where members of the local press and other local dignitaries had the opportunity to sit back, relax and enjoy Garifuna cultural presentations and even sample the traditional food. 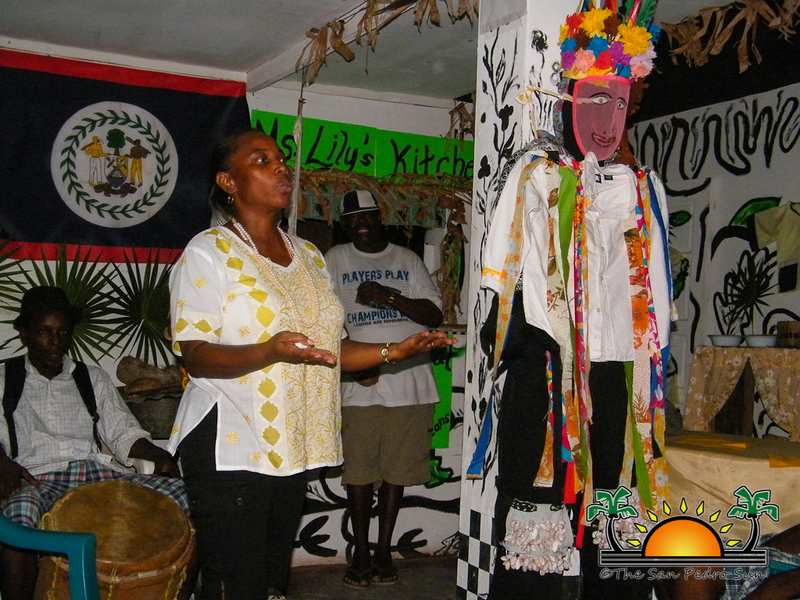 Speaking to the gathering, proprietor of the establishment, teacher Julia Martinez explained that she had to leave her establishment and concentrate her efforts to her teaching profession. 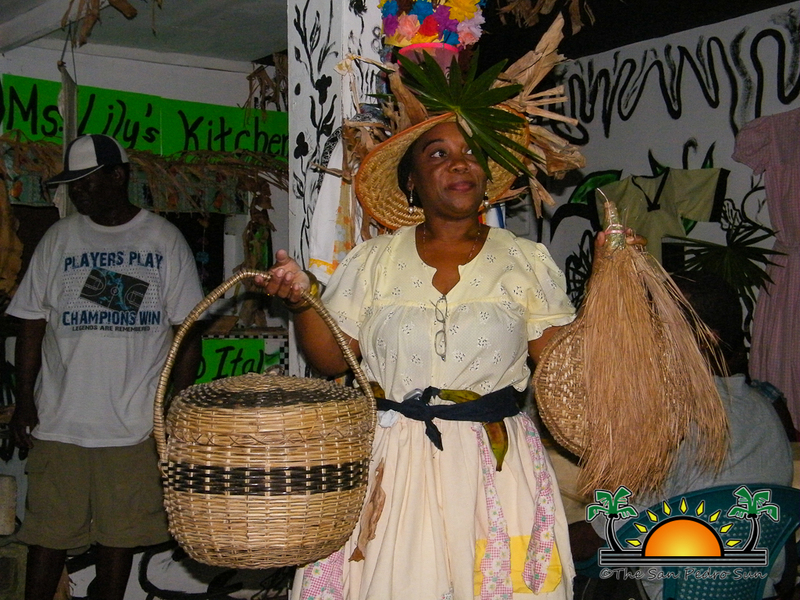 Now that she has retired from teaching, teacher Julia, as she is commonly known on the island, has decided to take over the management of her establishment and make it into what it was originally envisioned as, a family friendly cultural establishment. 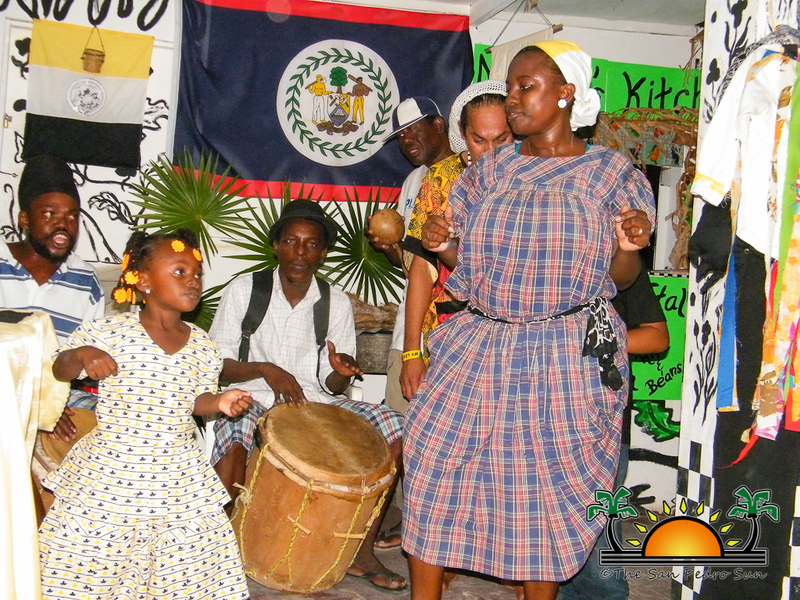 On the day of the opening, live drumming, Garifuna songs and Garifuna skits filled the venue which had the crowd entertained and laughing as well. 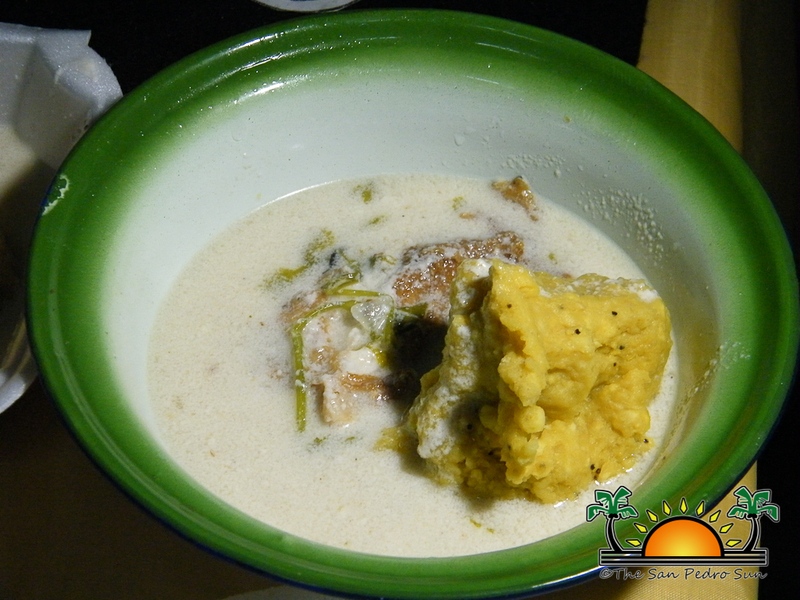 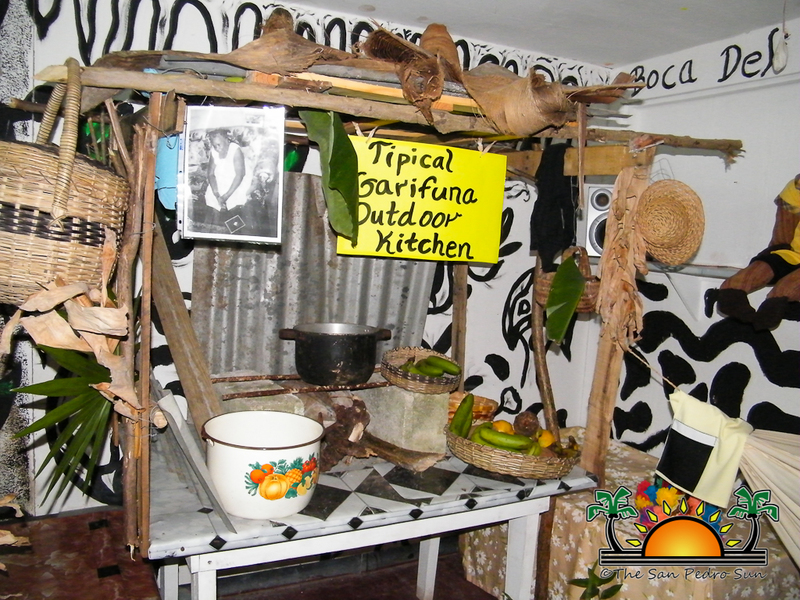 Following the presentations that were translated into the English language, those present were given the pleasure of sampling the various traditional and typical Garifuna foods. 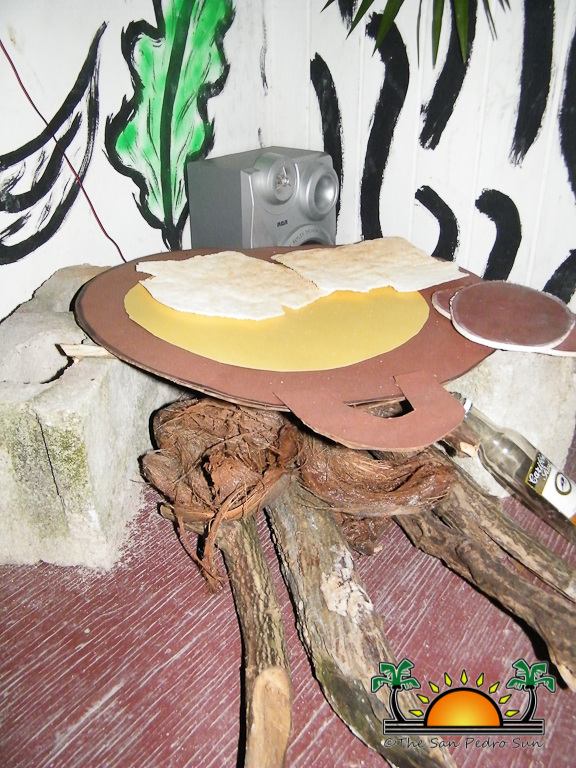 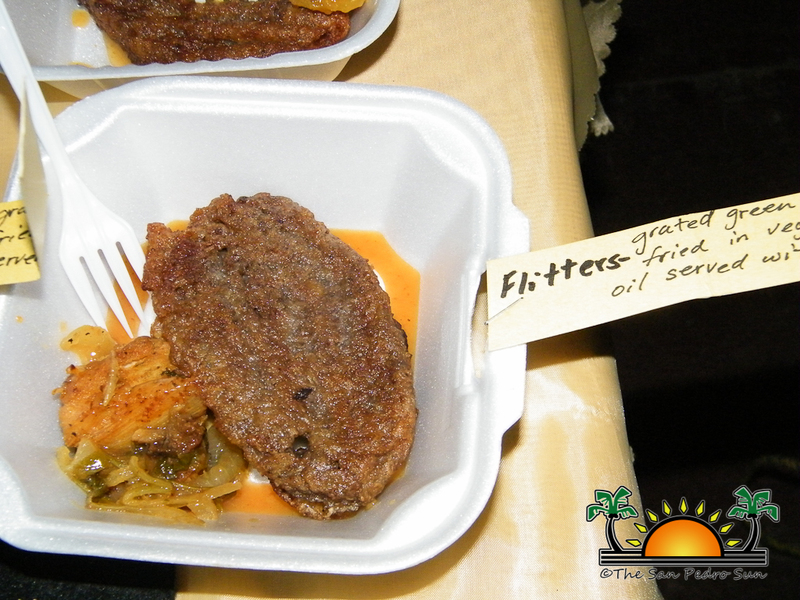 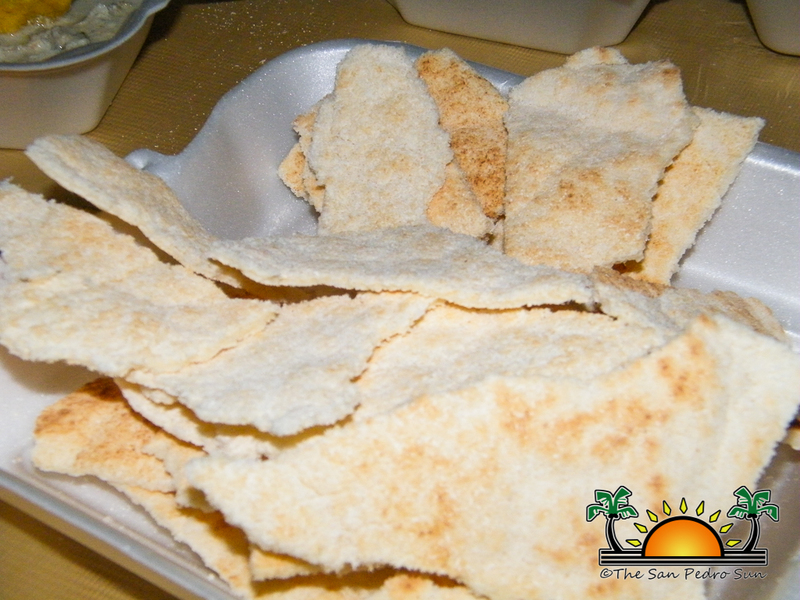 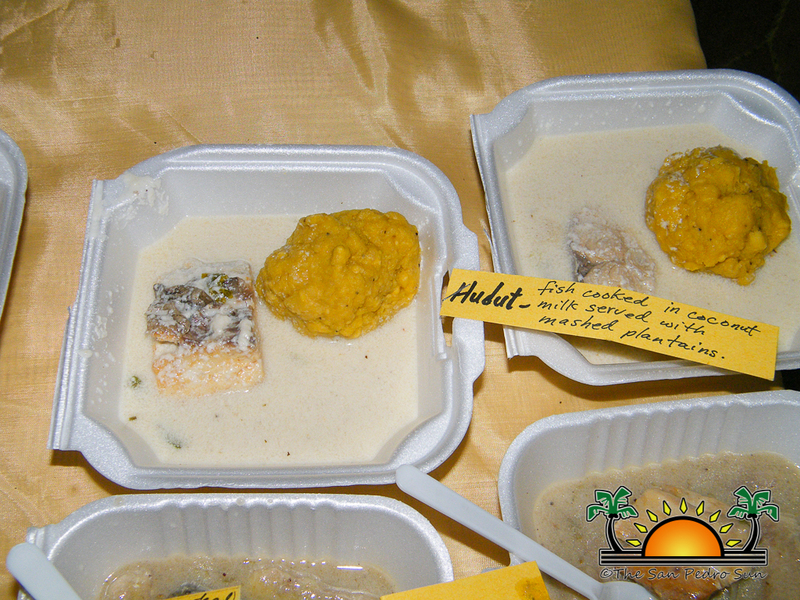 Each food sample had its proper Garifuna name and a description as to what the food was made of. 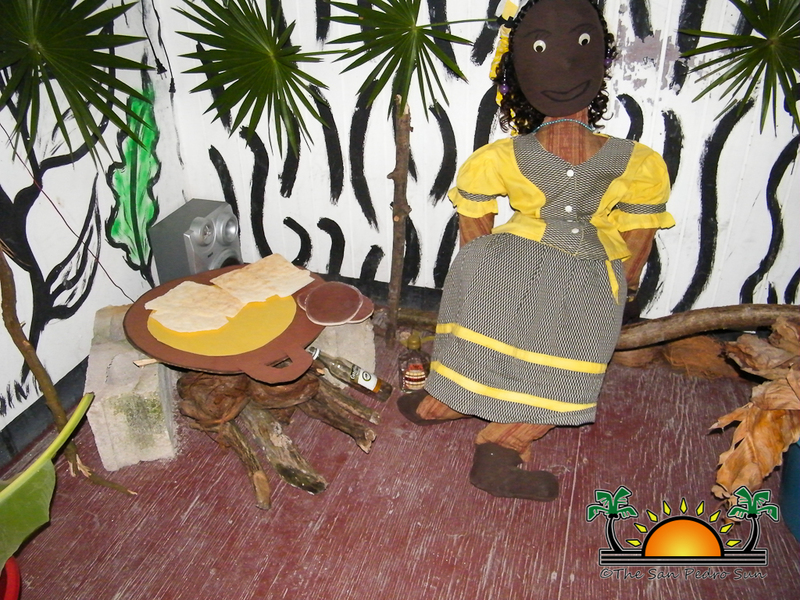 The entire interior of the bar has been transformed into a setting depicting a humble rustic Garifuna home with all the house utensils and furniture. 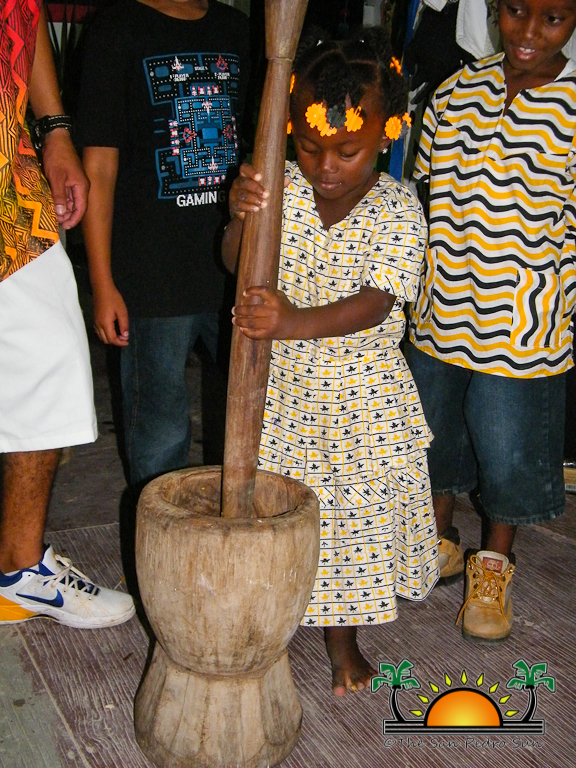 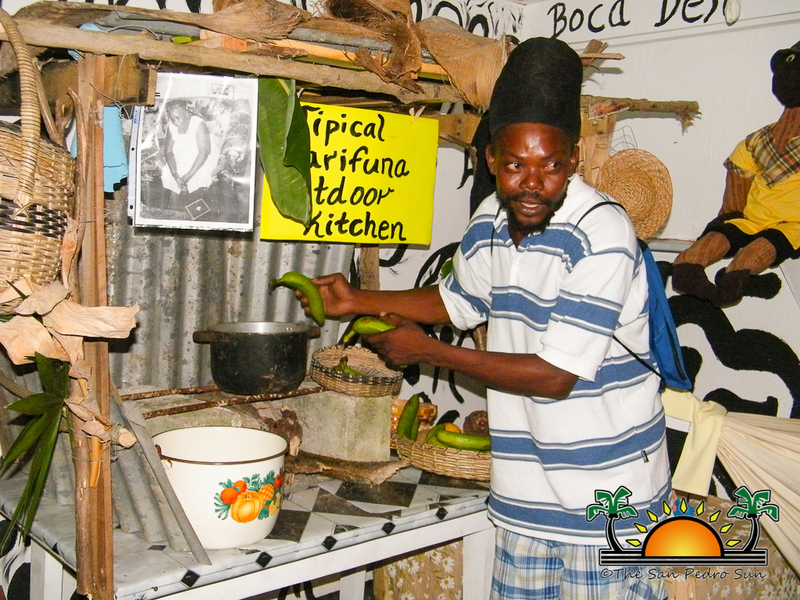 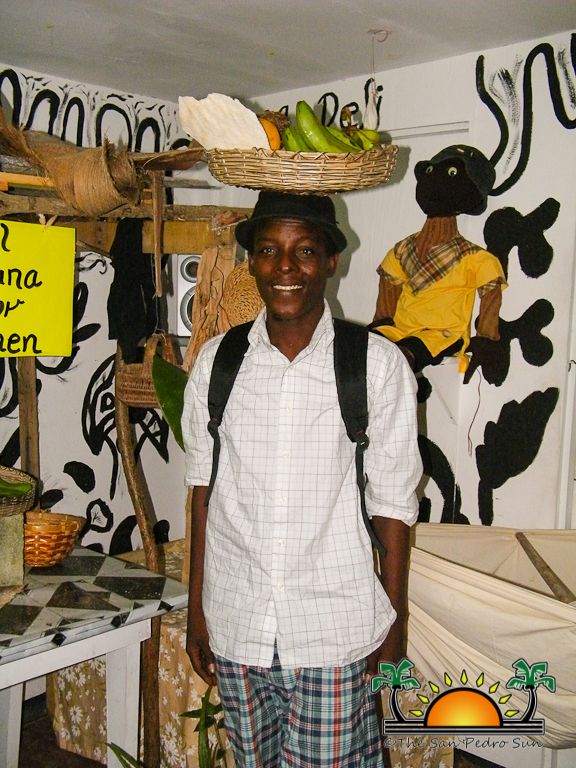 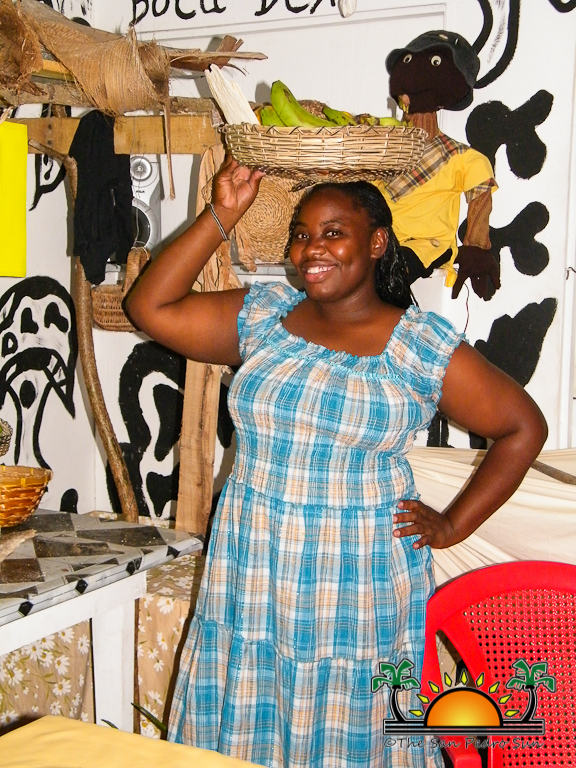 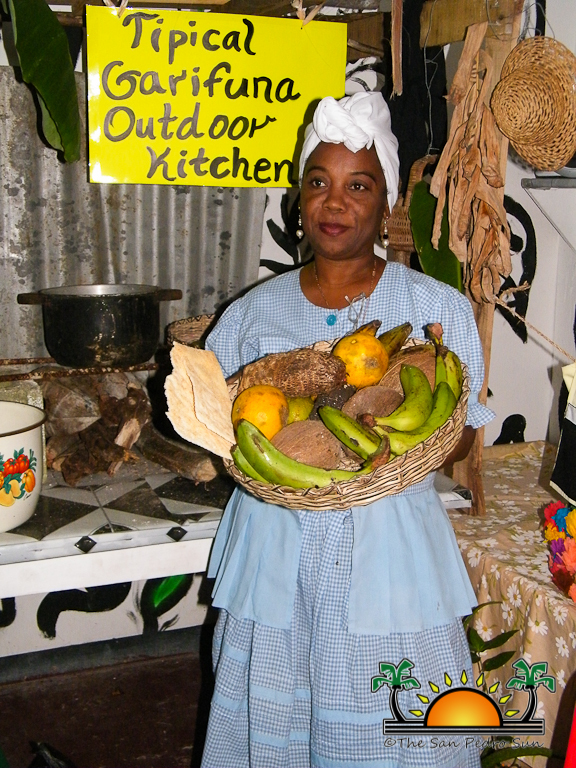 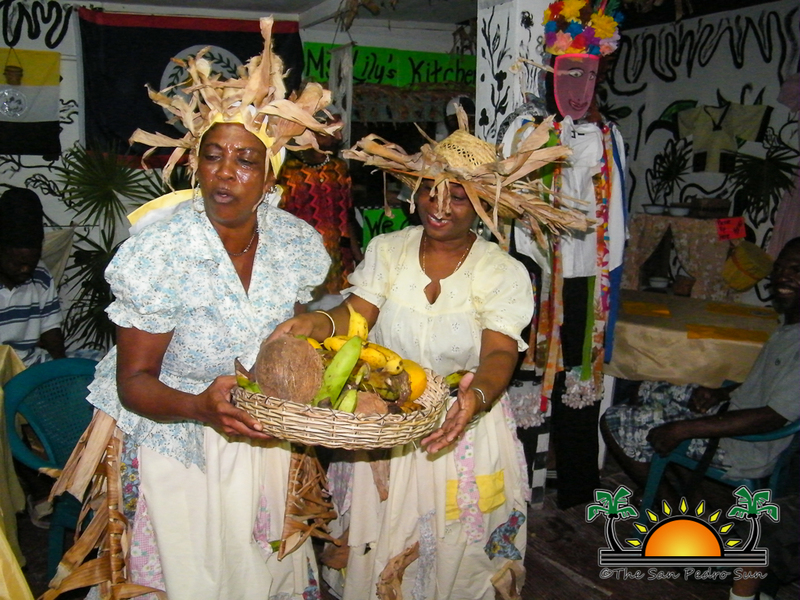 Black and White is open for visitors as well as locals every day serving local Garifuna cuisine. 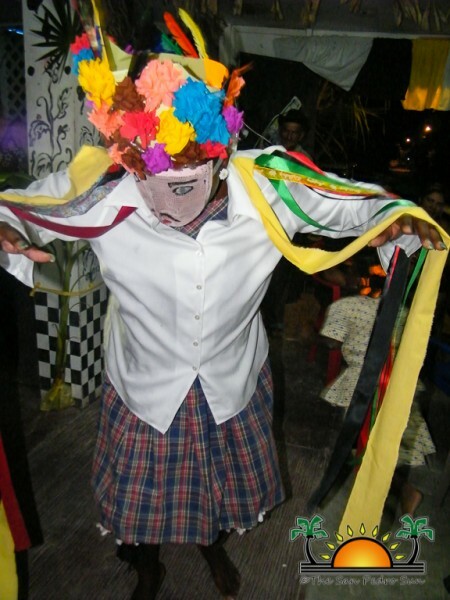 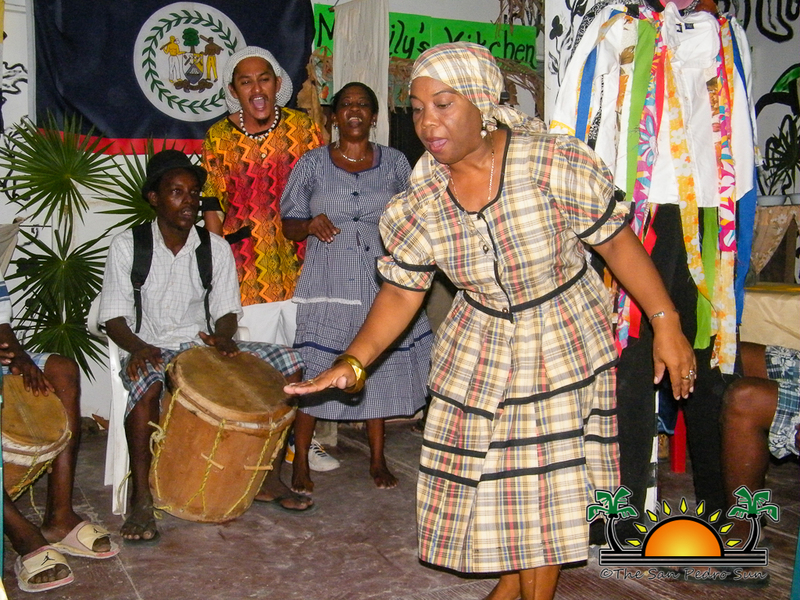 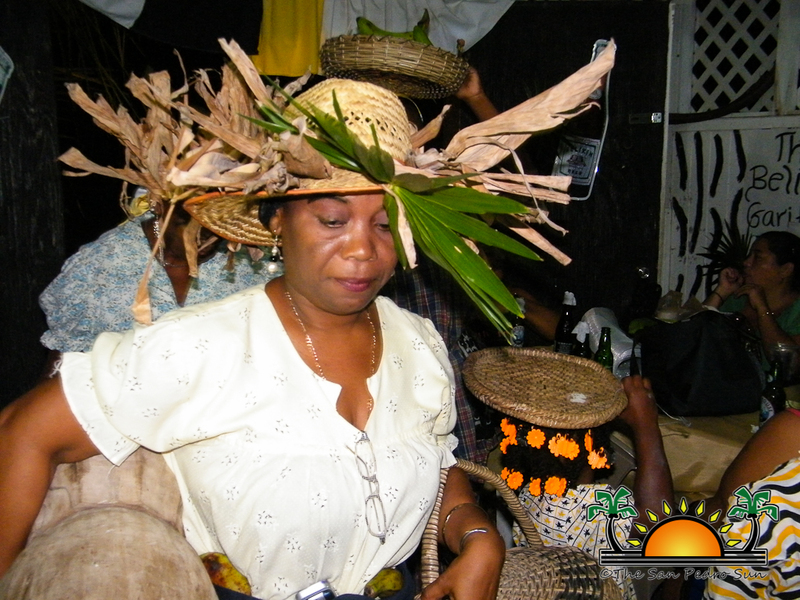 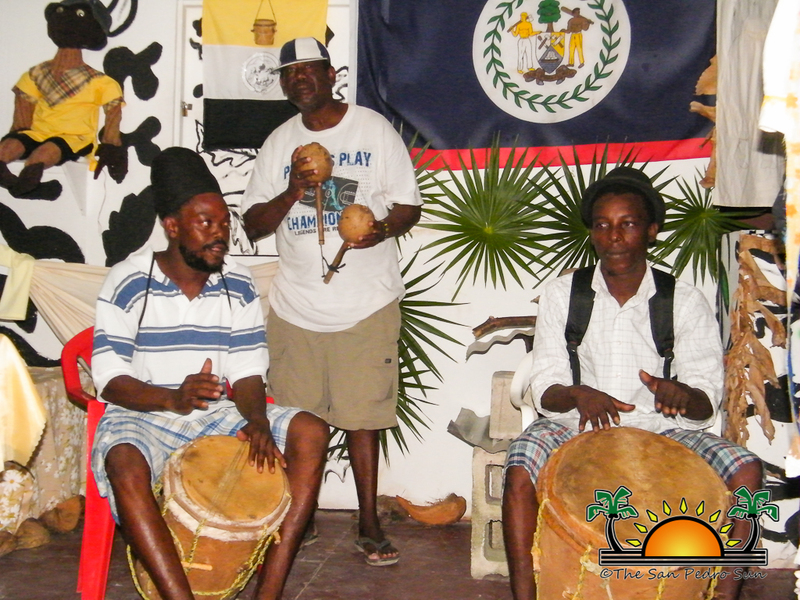 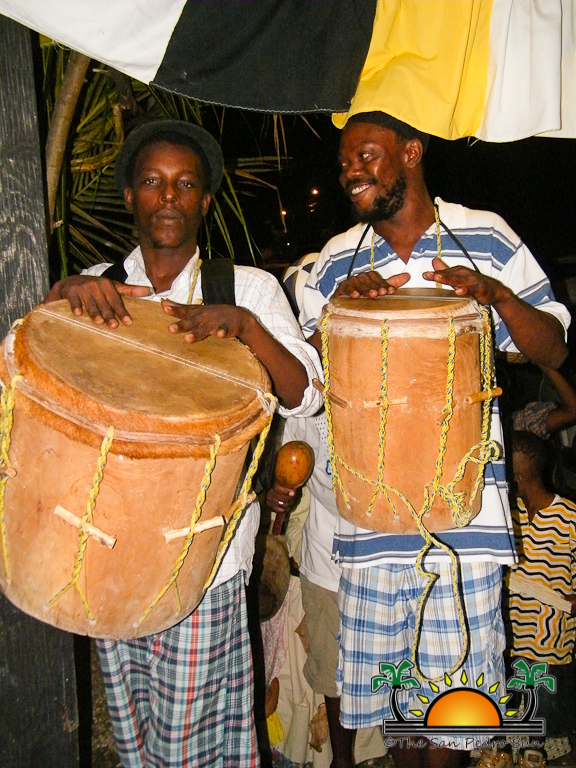 Local tour operators and schools wishing to have a group experience in the Garifuna culture with music, food and an hour of cultural dances can get in contact with teacher Julia at her establishment to arrange a full presentation.